Its true. I have given birth to a mother, but I’m not a grandparent. 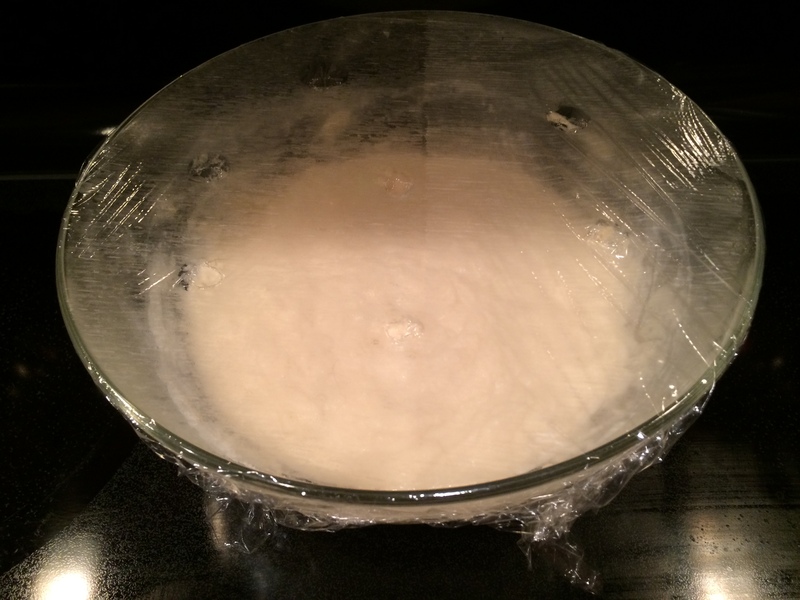 A “mother” is what one calls a proper sourdough starter – and I started mine on my birthday in January, appropriately enough. 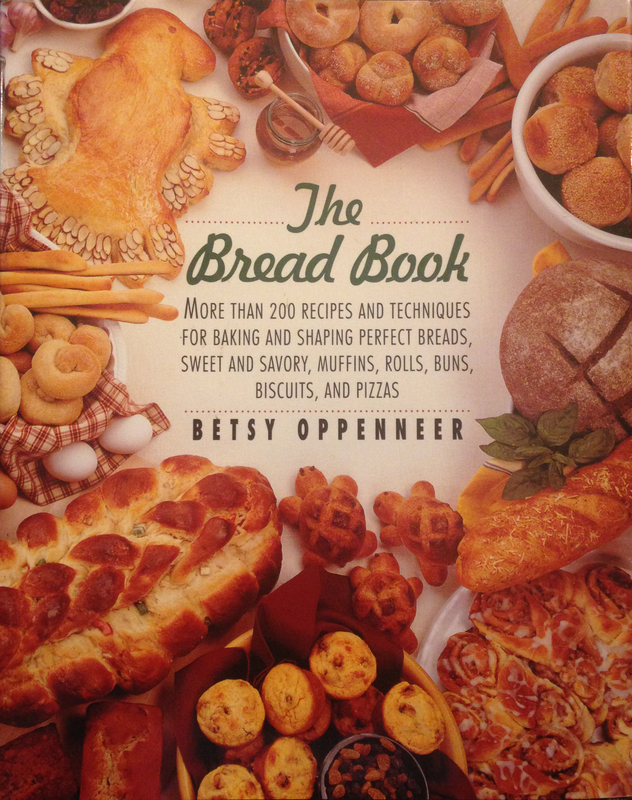 I followed the instructions in The Bread Book, my Mom’s amazing cookbook (proud son) and have used it for two recipes so far. Damn, my arm is tired. 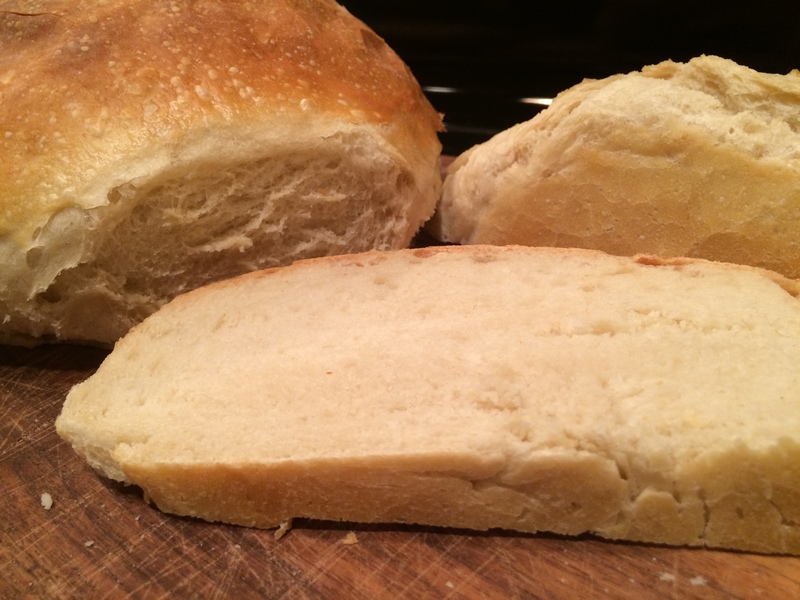 The big difference between sourdough preparation versus that of normal yeast breads is time. For a normal yeast bread, you’re looking at 15 minutes of ingredient prep, 60 minutes for the first rise, 10 minutes to shape the dough, 45 minutes for the second rise, and just under 30 minutes to bake – in all just under three hours. 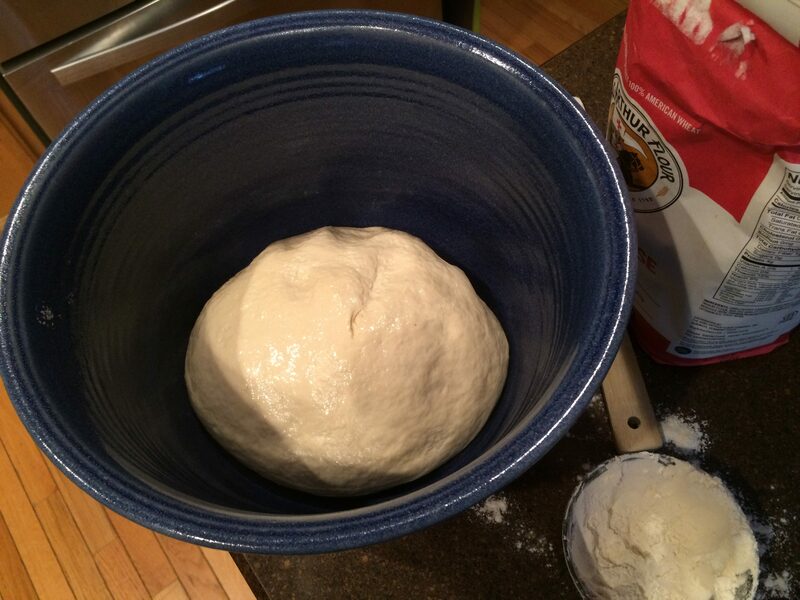 Sourdough recipes require more time – and consequently more patience. If you are looking for immediate gratification, sourdough may not be your bag. 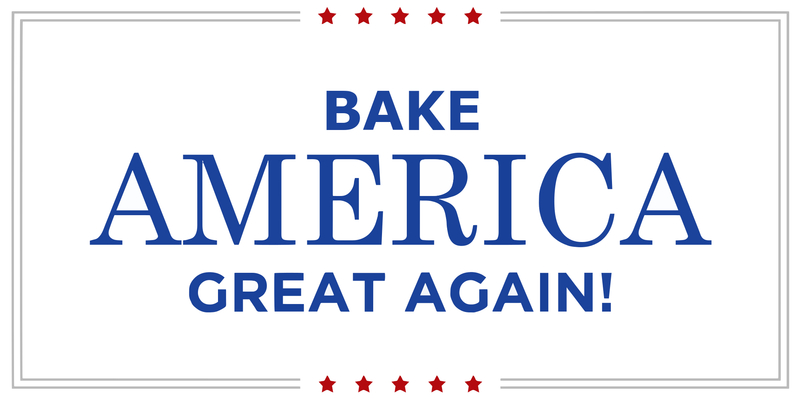 10 minutes to prep the sponge, 12 hours for the sponge to develop, 15 minutes ingredient prep, two hours for the first rise, 10 minutes to shape the dough, about an hour and a half for the second rise, and about 30 minutes to bake – just over 17 hours from sponge to loaf. 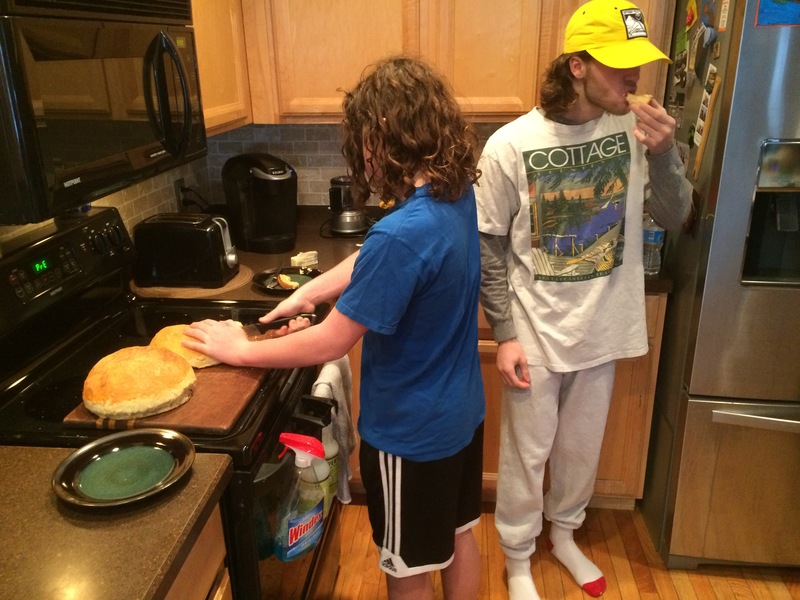 The sourdough bread was a big hit with the family. 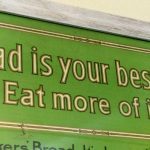 I enjoy seeing folks gather in the kitchen as the bread is baking, asking, “When is the bread going to be ready?” Love it! 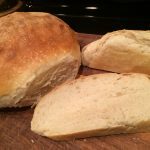 This bread is crusty because the loaves are brushed with cold water before being baked in a steam-filled oven, all of which encourages a crisp crust. If you prefer a softer crust, eliminate these steps and, while the finished loaves are still warm, brush the tops with softened butter or oil. At least 12 hours in advance, combine the starter, water and flour in a large glass or pottery bowl. The sponge will have the consistency of a cake batter. Cover with plastic wrap and let ripen at room temperature for at least 12 hours but no longer than 36 hours. 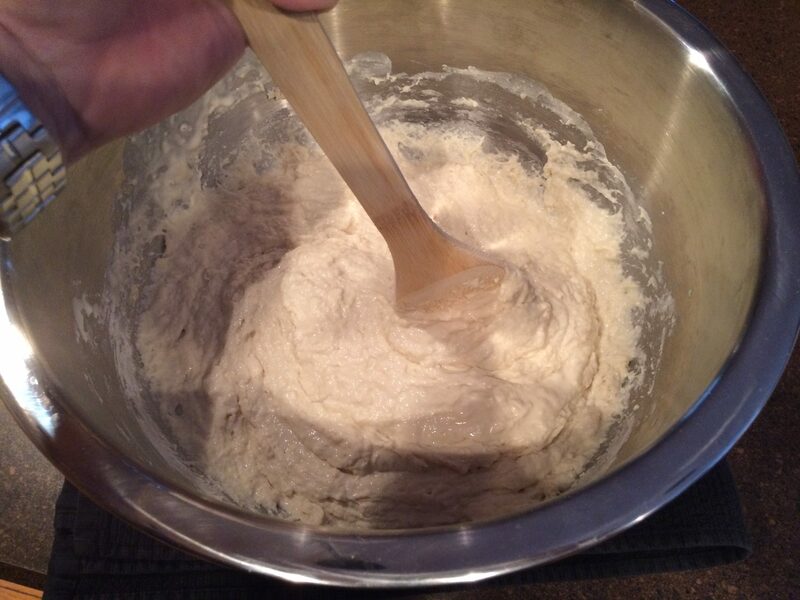 When ready to make the bread, add the 1 1/2 cups water, salt and 3 cups of the flour to the sponge. 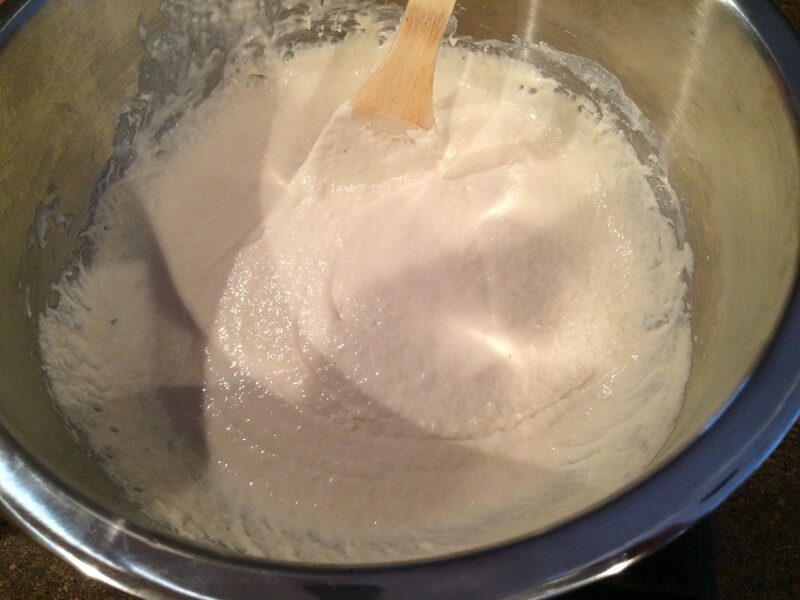 Beat vigorously with a dough whisk or heavy-handled spoon for 2 minutes. 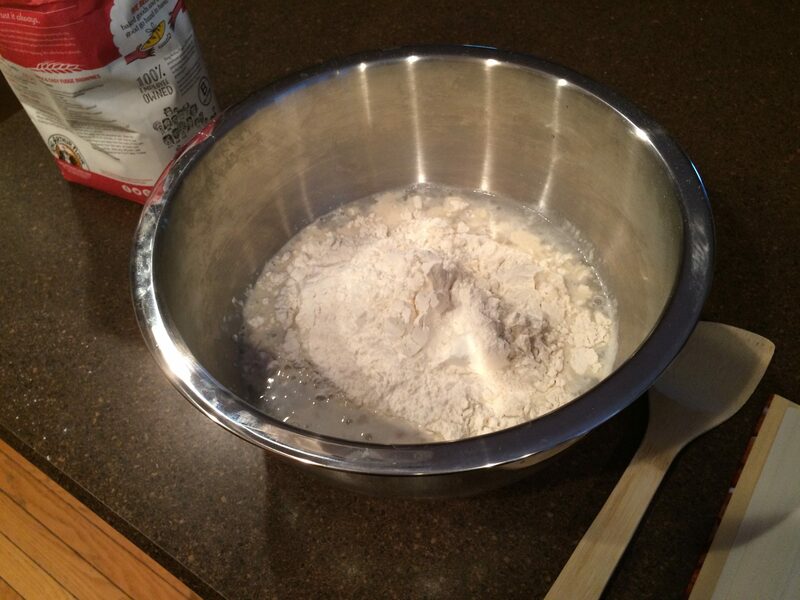 Gradually add more of the remaining flour, 1/4 cup at a time, until the dough begins to pull away from the side of the bowl. Turn the dough out onto a floured work surface. Knead for 8-10 minutes, add more flour, a little at a time as necessary, until you have a smooth, elastic dough and blisters begin to develop on the surface. 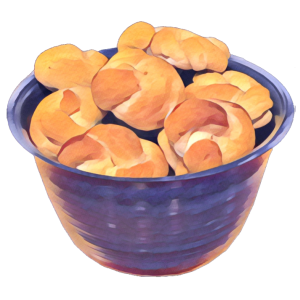 Put the dough into an oiled bowl. Turn to coat the entire ball of dough with oil. Cover with a tightly woven kitchen towel and let rise at room temperature for about 2 hours. Turn the dough out onto a lightly oiled work surface and divide it in half. Shape each piece into a ball, cover with a towel, and let rest for 15 minutes. 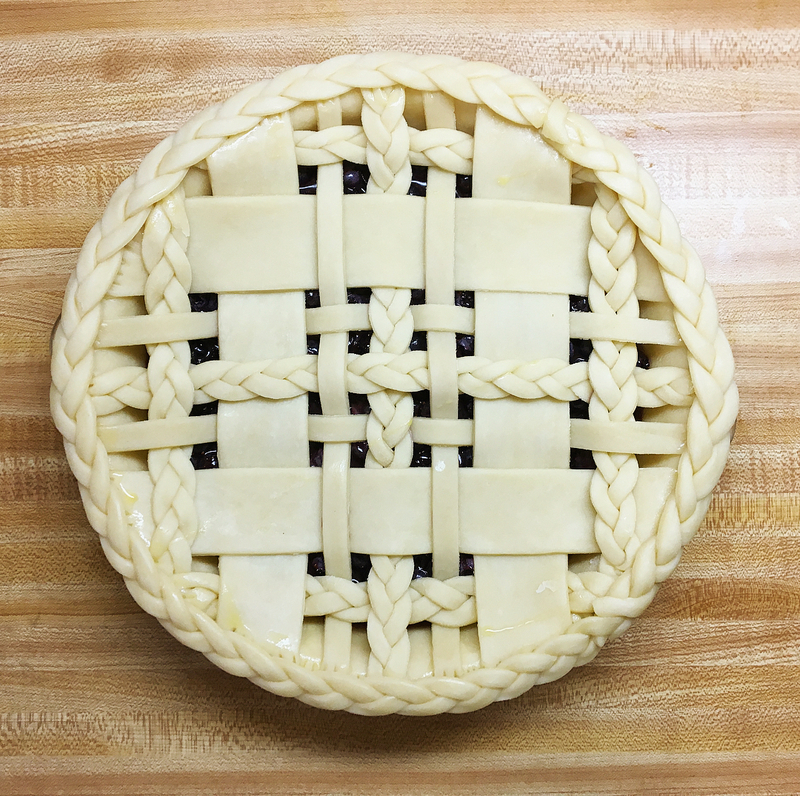 Shape each piece of dough into a ball again. Flatter the centers slightly and place them well apart on a well-greased baking sheet. 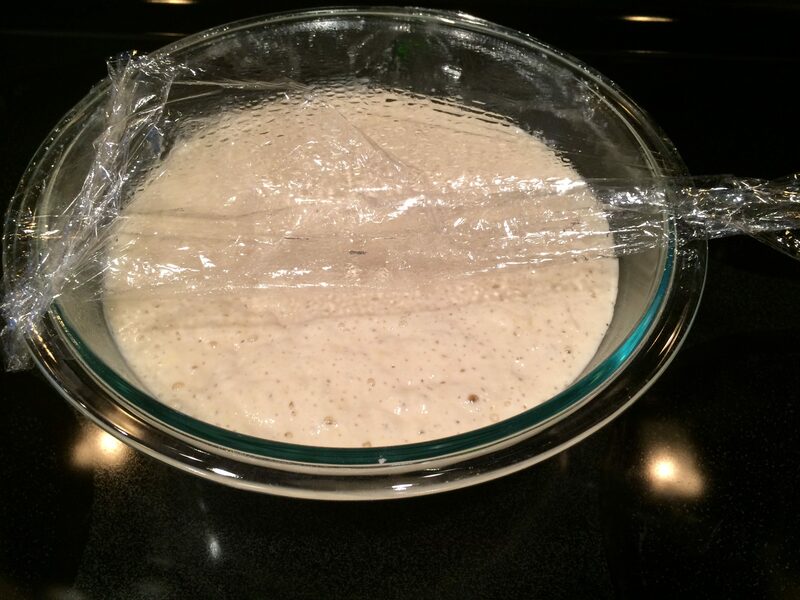 Cover with a towel and let rise for about 1 1/ hours, or until almost doubled in size. About 15 minutes before the end of the rising, preheat the oven to 400F. Put a shallow pan on the bottom shelf of the oven. Brush the loaves with cold water. 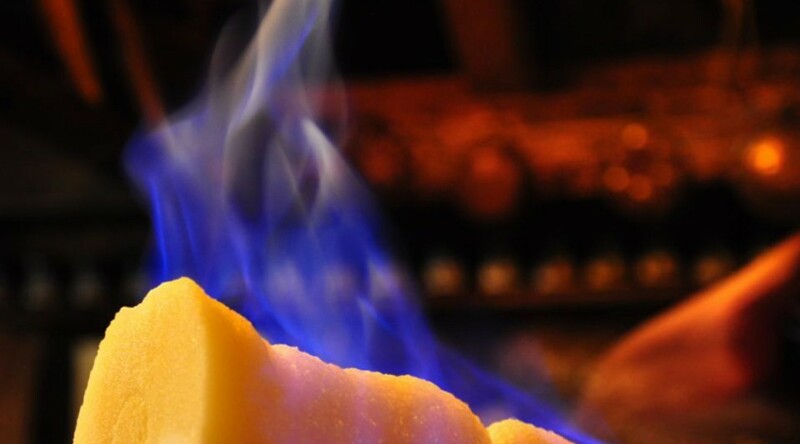 Put 1 cup of ice cubes in the hot pan on the bottom shelf of the oven. 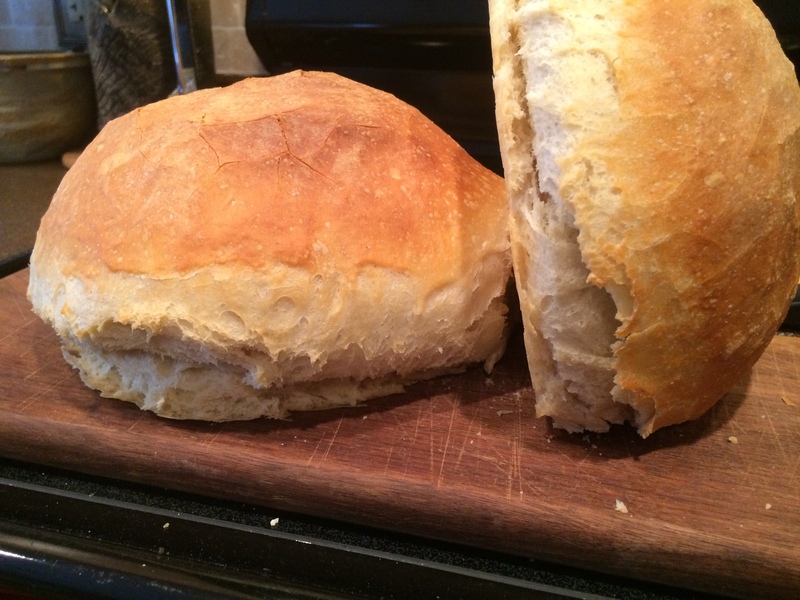 Immediately put the bread on the shelf above and bake for 25-30 minutes, or until the loaves are lightly browned and sound hollow when tapped or the internal temperature reaches 190F. Remove from baking sheet and cool on a wire rack.